Charles 1 was friendly with the Bishop of the time and stayed at Eccleshall in 1634 and 1642. However, these were troubled times and in late June 1643 the castle was besieged by Parliamentary forces. Their guns were located in what is now the cricket ground and did much damage to the south side of the Castle. After a long siege the Castle fell to the Parliamentarians and was sacked. Many of the items excavated from the moat date from this period. They are now in the Hanley Museum. Bishop William Lloyd built the present house rather than repair the castle ruin, but made use of some of the castle walls so that arrow slits are still visible in the rear wall of the house. Bishop John Hough (1699-1717) was responsible for laying out the grounds and planting many of the trees between the castle and the town. In the eighteenth century the gatehouse was pulled down, and the moat and marshland surrounding the Castle was drained. 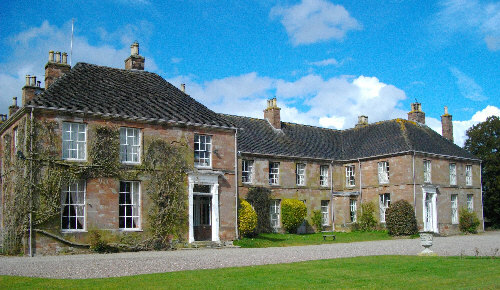 The last Bishop to live at Eccleshall was Bishop John Londsdale, who died in the Parlour of the house in 1864.